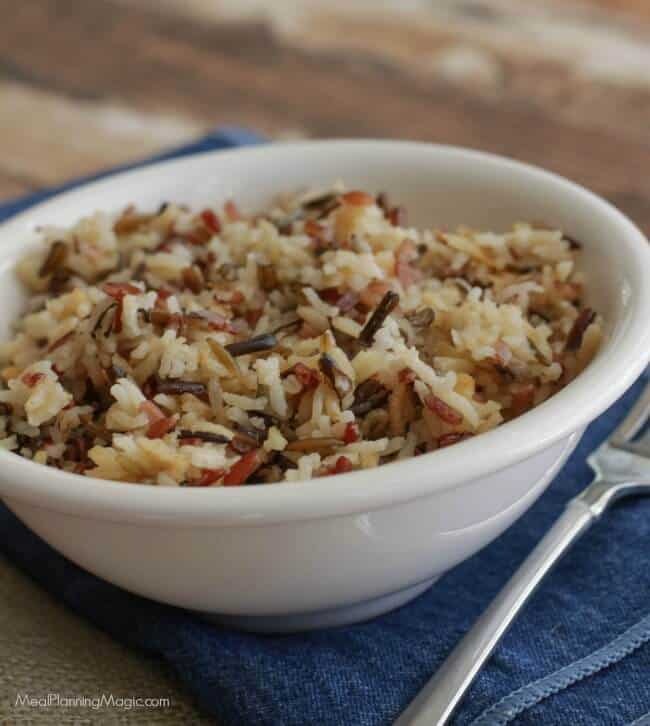 Click here to PIN this Simple Stovetop Brown and Wild Rice Pilaf recipe! 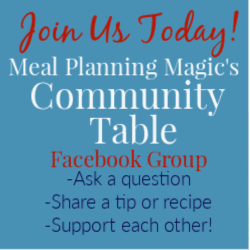 Some days I feel pretty meal planning challenged and it’s all I can do to get our main dinner meal made and to the table. But just having a main dish, especially when it’s something like chicken, can seem kind of boring and with a growing teen and pre-teen in the house, it’s often not enough to fill everyone up. Plus, I like having side dishes and a vegetable most of the time. I’ll often choose a simple vegetable side dish from the Healthy Vegetable Side Dishes recipe roundup I did last year but this Simple Stovetop Brown and Wild Rice Pilaf is a huge hit with my family and it’s SO super easy too. 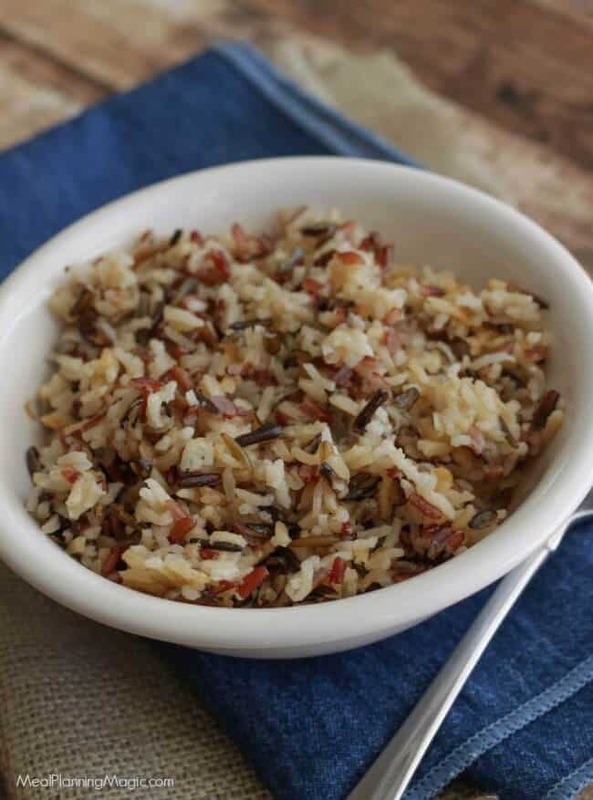 I created it sort of on the fly one evening thinking of ways I could jazz up the flavor of brown and wild rice so that my family would be more likely to try it. The flavors of the broth and bit of garlic salt combined with the Parmesan cheese is just enough to give it a boost of flavor but also subtle enough that it doesn’t overdo it on flavor. I pretty much always have all these ingredients on hand (even the grated parmesan that I keep in my freezer) so throwing this together at the last minute is no problem. I actually normally make it in my rice cooker and it comes out perfectly every time. 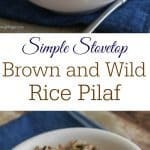 But you can make it just as easily on the stovetop which is why I called it Simple Stovetop Brown and Wild Rice Pilaf and I hope you’ll give it a try! In medium saucepan, combine rice, broth and garlic salt. Stir. Bring mixture to a boil then reduce heat and simmer and stir occasionally for about 30 minutes or until rice is cooked. Remove from heat and stir in Parmesan cheese until melted and fully blended. Serve warm as a side to your main dish. 1/2 what? Of grated Parmesan cheese. Tbsp? Cup? Hi Kim! Thanks for the catch on that on my recipe–whoops! It’s 1/2 cup — I have updated the recipe. You mention that you typically make this is your rice cooker, however, your instructions don’t reflect this. Do you just throw the ingredients in the rice cooker & set it to the “brown rice” setting? Hi Andrea, yes, I set the rice cooker to “brown rice” setting. I will update the recipe to make that clarification. Thanks for pointing that out and hope this helps! Very easy and tasty…used bagged pre-grated parm, will use fresh next time. Family liked it, no leftovers! Rachel, I’m glad you’re family liked this! It really is so easy and the Parmesan cheese adds just enough flavor to make it interesting. Do I just increase everything by 50% if I want to make enough to serve 6 people? Hi Lynn, I’ve been offline due to some travel so am just now seeing your comment. Yes, you can just increase everything by 50% so it serves 6 people. Or on the actual recipe card, you can choose the number of servings (it will be highlighted in blue in the Servings: section, just click on the blue and it will bring up a slider that lets you adjust the servings! This goes for any of the recipes on my site! Enjoy!